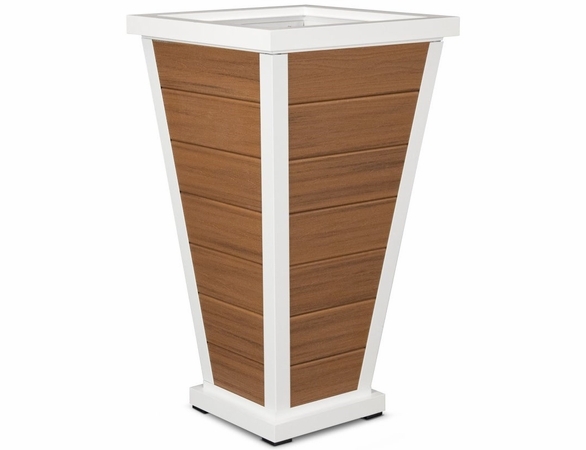 Main image shown in satin white frame & tiki torch resin lumber. 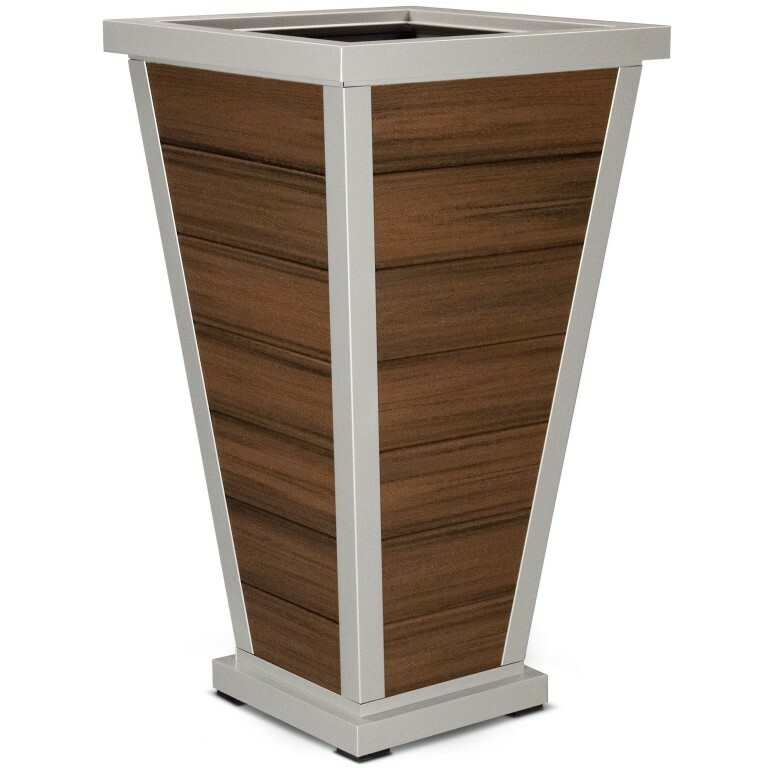 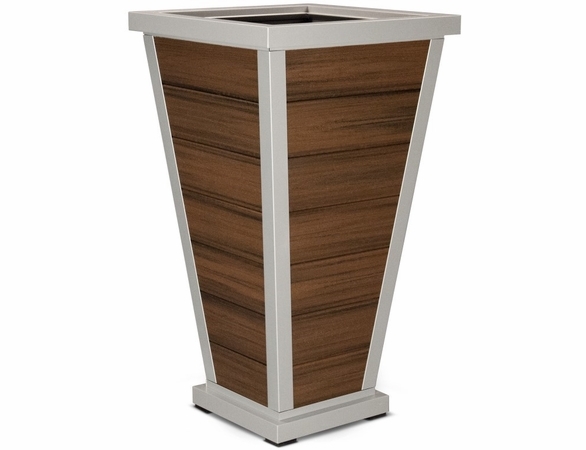 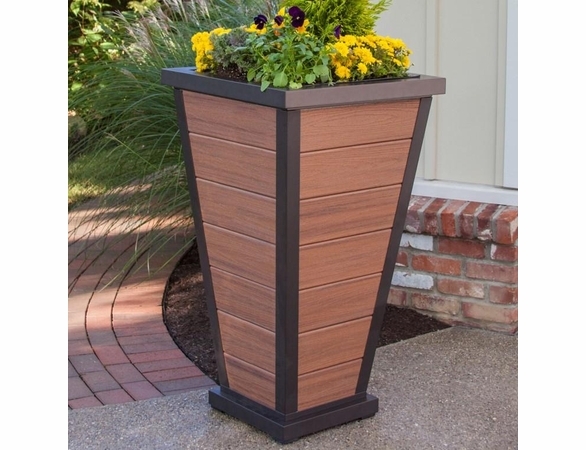 Backed by Trex’s generous 20-year warranty, the Trex Parsons Pyramid Planter (24 inches) is a smart choice for any homeowner or landscape designer in search of high-quality, eco-friendly residential or commercial planters that are guaranteed to last. 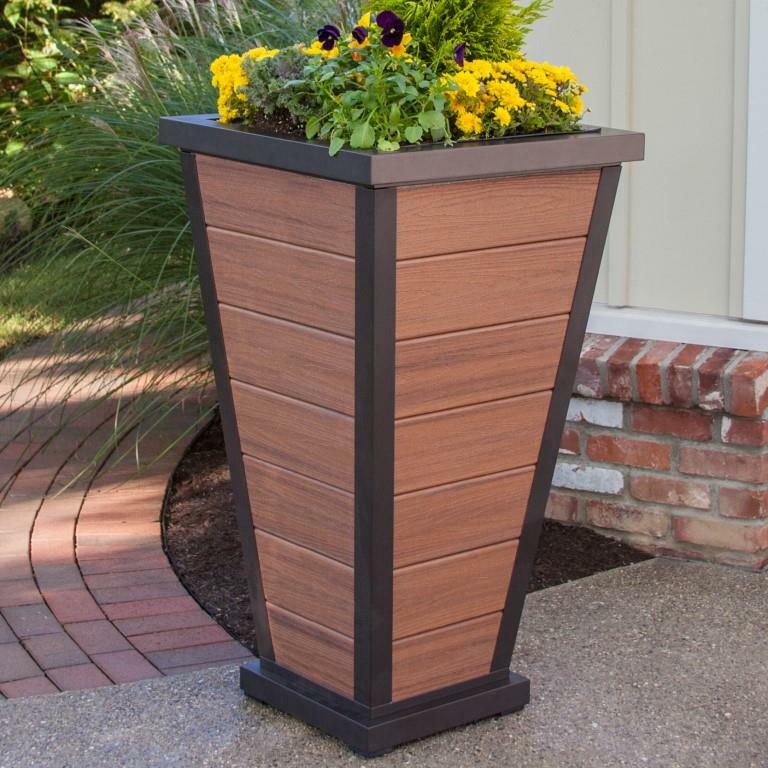 It’s constructed with Trex Transcend deck boards, a powder-coated aluminum frame and marine-grade stainless steel hardware for long-lasting use and low maintenance. 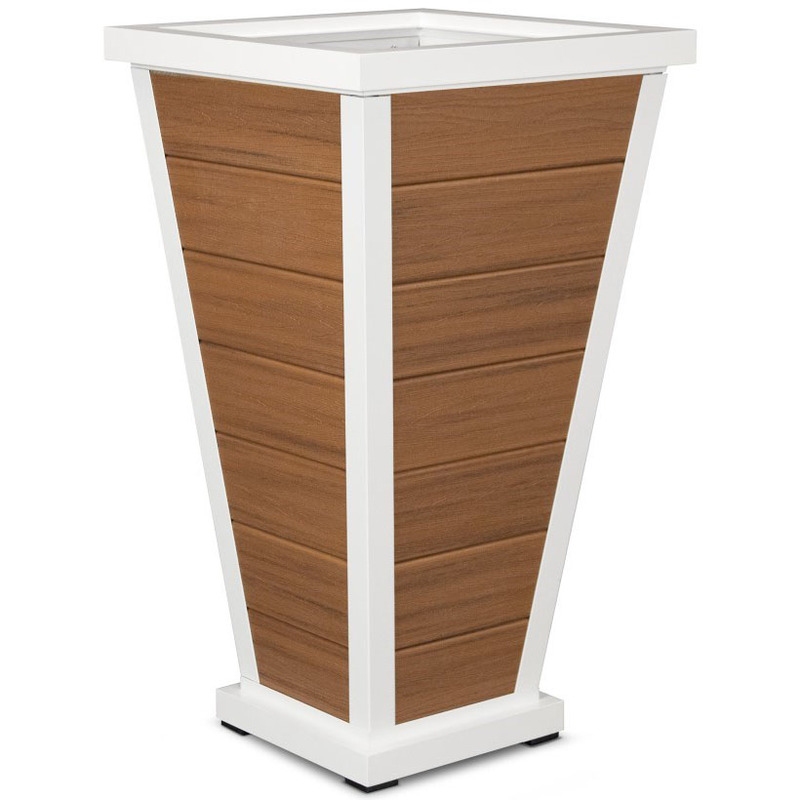 Outdoor Furniture Plus ships Trex planters for free and carries eight unique Trex frame and lumber combinations to help you find a look that works with your outdoor living space.